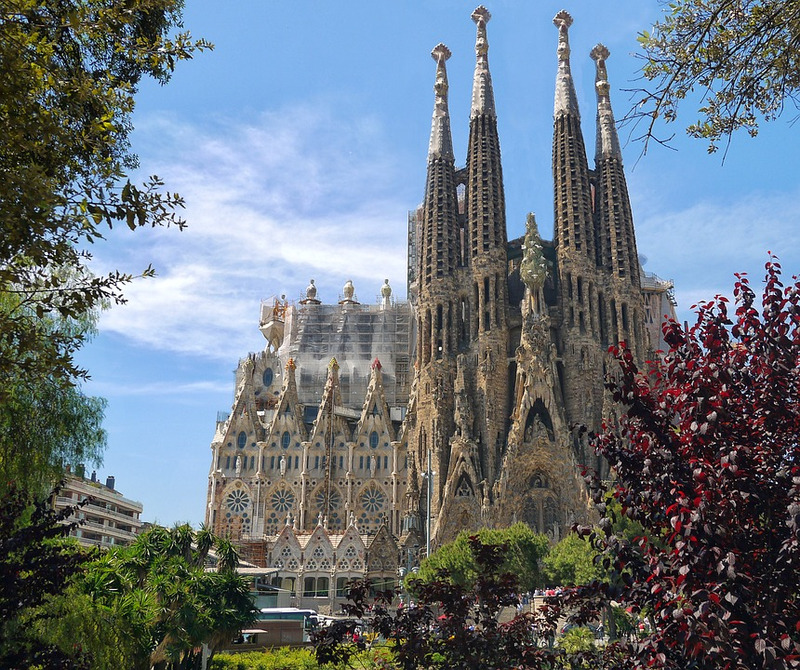 World Heritage Site, La Sagrada Familia is a huge Roman Catholic Church in Barcelona. It's considered famous architect Antoni Gaudí’s chef-d’oeuvre. World Heritage Site La Sagrada Familia is a huge Roman Catholic Church in Barcelona, Spain, and is famous architect Antoni Gaudí’s chef-d’oeuvre. 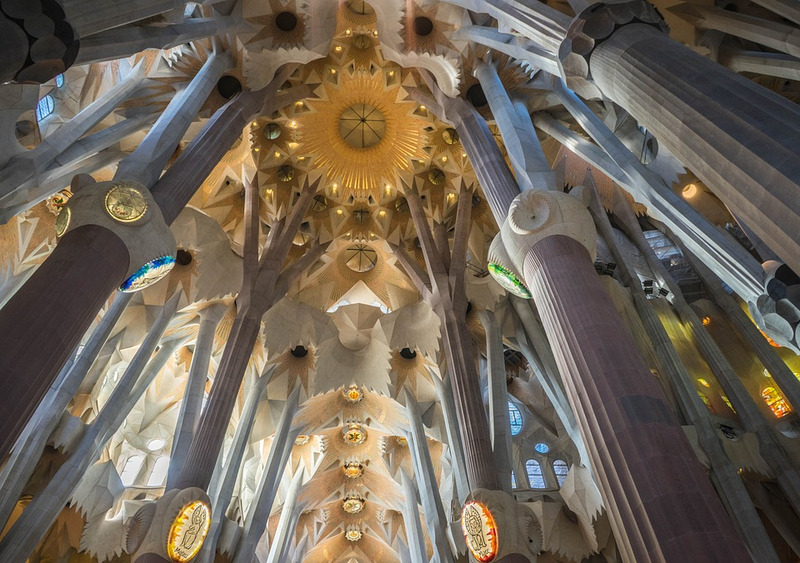 The first architect for the church was Francesc de Paula del Villar, who started the construction in 1882, yet Gaudí was given the job in 1883 and he continued to work on the project until his tragic death in 1926. The church is expiatory, meaning that it is being constructed to atone for wrongdoing or guilt, so the financing of the church is not public. The admission charge paid by two and a half million visitors each year is what pays for the building construction, and it is thought that it will be completed in the first third of this century. Gaudí was born in 1852 in Reus. 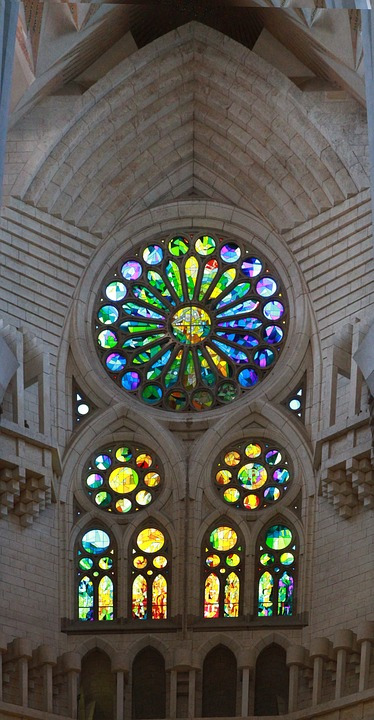 He studied at the Barcelona Province School of Architecture and went on to be given the job of continuing La Sagrada Família project, yet at the same time he accepted work to design other houses and buildings, which later became famous and are now essential to the architectural prominence of Barcelona. For example, Gaudí designed major Barcelona landmarks such as the Casa Milà, Park Guell and Casa Vicens. He was very successful, but sadly on June 7th 1926, he was injured by a tram on the Gran Via de les Corts Catalanes, and declared dead three days later. During his funeral, the city acknowledged that he was their most illustrious architect. The church was designed to be 110 m in length 45 m high, with twelve towers between 100 and 115 m high. The ground plan is a Gothic basilical plan in the shape of a Latin cross. The three famous facades represent the Nativity, Passion and Death, and the Glory of Christ. The twelve towers symbolize the twelve apostles. Four monumental bell towers represent the four Evangelists, and the two colossal domes represent Christ and the Virgin Mary. The temple crypt began by Villar was finished by Gaudi in 1885. The sculptor Josep Maria Subirachs has been working on the sculptures of the church in his own style for the last 20 years. La Sagrada Familia now represents Barcelona to the whole world and welcomes millions of visitors keen to study its architecture and ongoing construction.